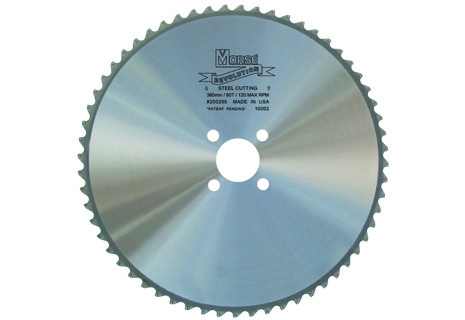 Morse Revolution blades are high performance circular saw blades specifically engineered for use with thin kerf metal cutting industrial circular saw machines. They are often used in steel service centers, steel forging plants, automotive plants and bearing manufacturers. Two types of blade are offered: cermet tipped blades are optimized for carbon and high alloy steels, while carbide tipped blades are designed for high alloy and stainless steels and aluminum cutting. Both types are made for cutting solids from 1/2 to 6 inches depending on machine model and blade diameter.